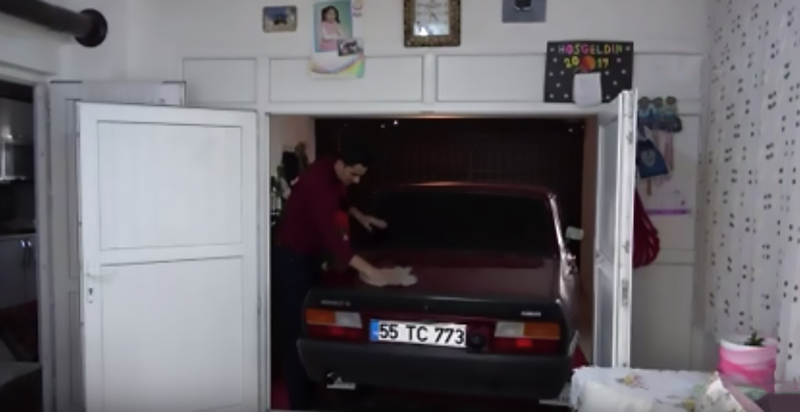 Meet the car-obsessed dad is so devoted to his 20-year-old Renault 12 that he has joined up the garage with his living room and never takes the motor outside if it is cold or raining. 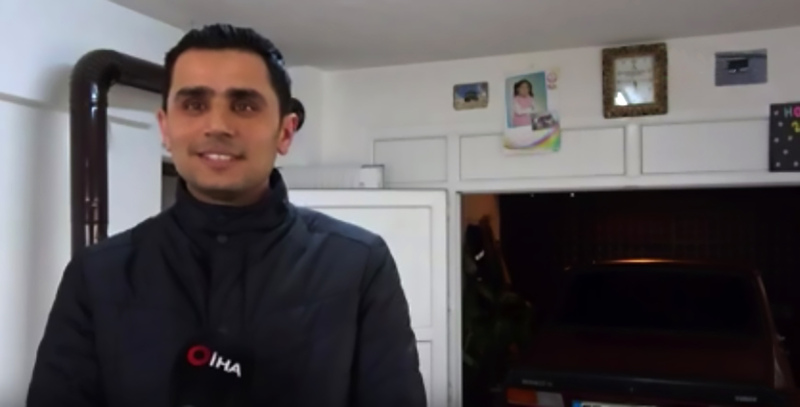 Turgay Bas, 34, parks his beloved 1999 Renault – called a Toros in Turkey – on a red carpet inside the garage which opens up through double doors into his living room in the Alacam district of northern Turkey’s Samsun Province. The father-of-one never takes the car out in bad weather and says he is so attached to the vehicle he regards it as a second child. 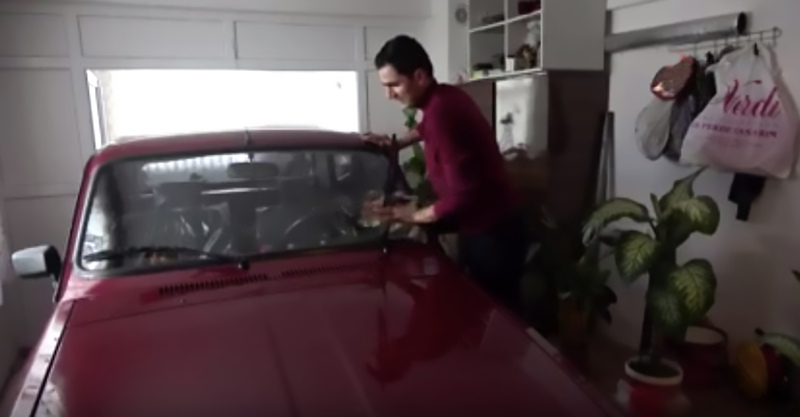 Turgay polishes the ‘vintage’ car every day and drives it so rarely that it has notched up only 31,000 kilometres (19,262 miles) despite its age. 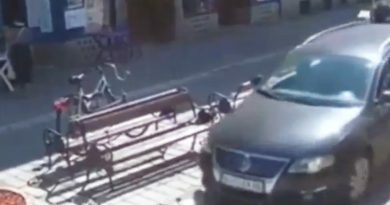 The civil servant, who bought the vehicle four years ago in the central city of Konya, says his wife and daughter have got used to his obsession. 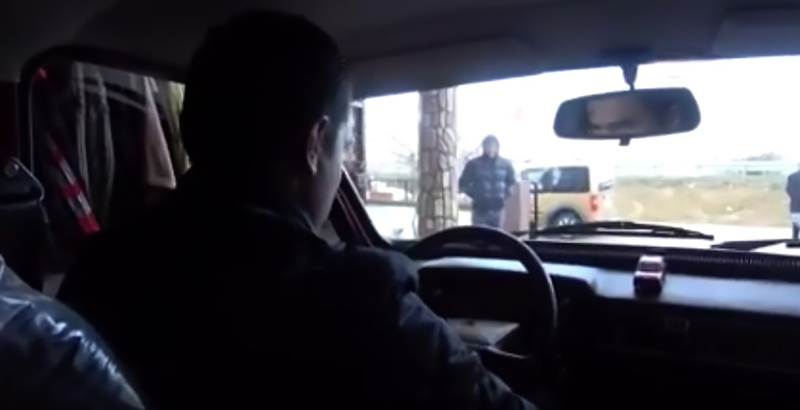 Turgay said: “When I come back home from work, the first thing I do is check on my car. I only ask my family if they are OK and then I immediately go to my car and sit in it and put on some music. “I haven’t even removed the nylon covers from the seats yet. I take it out only at weekends. When it rains or if it’s cold, I don’t take it out. If the weather is good I drive it around at about 20 kph (12 mph). “When I took it for a service, everyone looked at my car with admiration. They kept asking me where I keep it. When I showed them pictures of the car at home they didn’t believe it. 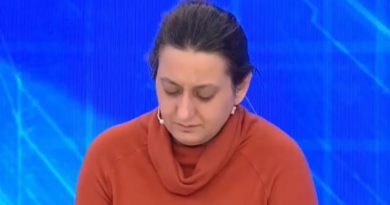 Turgay added that he did not aim to sell his car for many years and added: “Some things in life cannot be bought and are priceless. The Renault Toros is the Turkish name for the Renault 12. Named after the Taurus Mountains, it continued to be made in Turkey until the year 2000, years after production ceased in western Europe in 1980. I have worked as a correspondent covering news from Turkey and Albania for several years now.